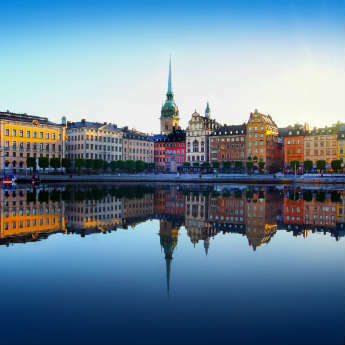 Make the most of your time in Berlin by grabbing an early morning flight and heading into to the heart of Germany. 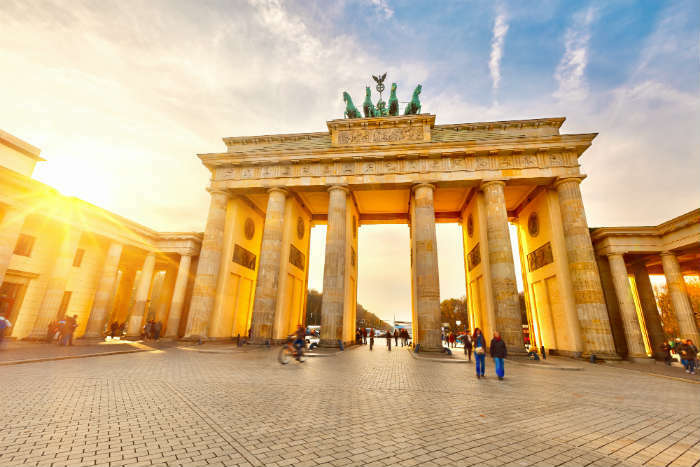 You’ll be thrown straight into the history of this city and once you’re settled with your bags in the hotel, make your way out to Brandenburg Gate – one of Berlin’s most famous sights. This structure is an imposing 28 metres tall and was once part of a wall surrounding Berlin. It was also the place of celebration when the Berlin Wall fell and is now considered a symbol of a reunified Germany – impressive even if you’re not even into history that much. When you’ve taken some photos, it’s time to take a wander down the Unter den Linden which roughly translates into “Under the Linden trees”. 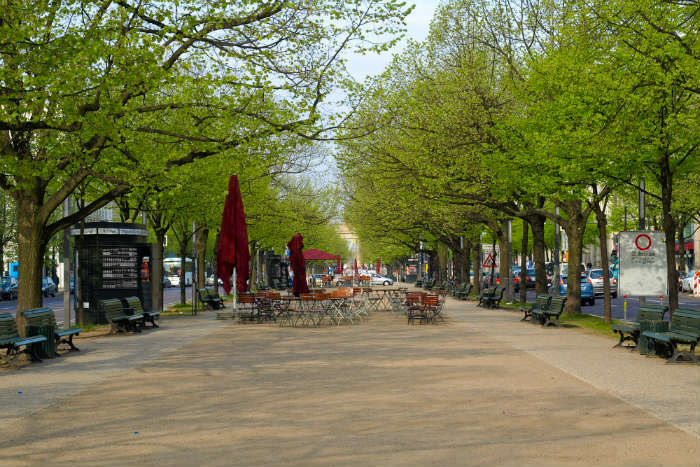 This tree lined avenue is 1400 metres long and stretches from Brandenburg Gate to Lustgarden Park. Although it’s fringed by car lanes, the central avenue is peaceful and a great way to wander through the city and see some more of Berlin’s historic buildings such as Gendarmenmarkt and St Hedwig’s Cathedral. There are plenty of restaurants to enjoy along this stretch too if you fancy a spot of lunch. After a relaxing lunch, wander to the Gendarmenmarkt to see some of Berlin’s restored buildings. This area is a huge square which is home to The Konzerthaus and the French Cathedral which were both destroyed in WWII but are now back to their former glory thanks to a labour of love by Germany. At the end of Unter den Linden is the Berlin Cathedral Church which is the largest church in Berlin. 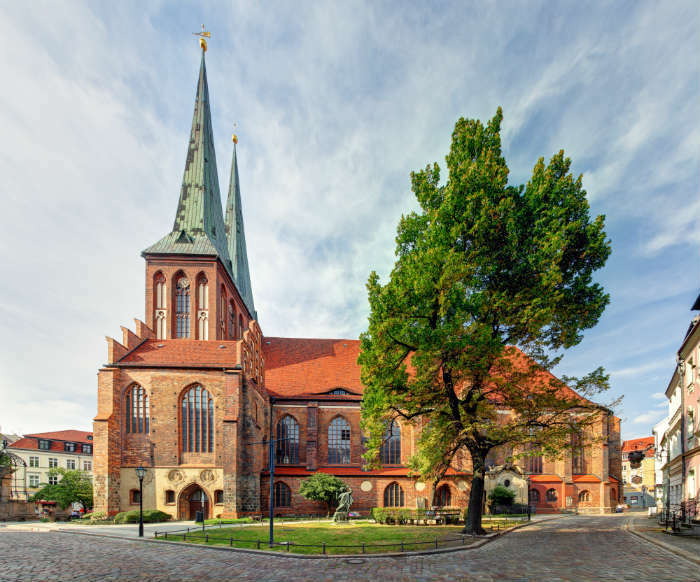 This building is a stunning sight and has a 75 metre high dome which towers above Berlin and if you want to know more about the history of Berlin Cathedral, guided tours can be taken to learn more about this landmark. Before any evening entertainment, take some time to relax and freshen up after a long day of sightseeing. This is now the time to dig into some traditional German food in Alexanderplatz. Yes, think great beer, currywurst and array of pork foods that will make the mouth water. On day 2 of our visit to Berlin, go and see what this city is most famous, or infamous, for. 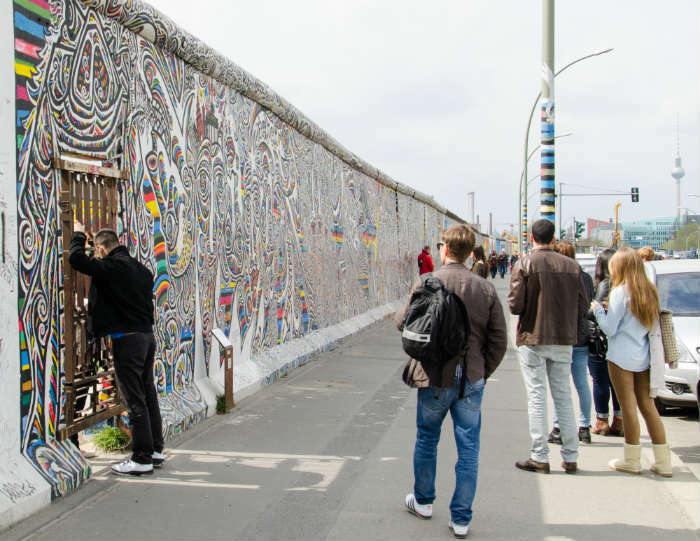 The Berlin Wall, or the 1.4km graffiti covered stretch of it, is now part of the Berlin Wall Memorial, a 4 metre high concrete barrier which divided Germany in two during the Cold War. Berlin was split into East and West and people were forced into a political system which they didn’t agree to and for some it cost them their lives. After many years of division, the Berlin Wall came down in 1989 and people rejoiced in the streets celebrating the reunification of this city. The afternoon can be spent taking in the sights of Berlin’s Nikolai Quarter. Sit down in one of the street side cafes and enjoy some lunch before exploring this pedestrian friendly area. Narrow lanes and alleyways wind around each other and bring together a variety of restaurants, shops and galleries and what is known as the heart of the old city. There’s also a history trail here if you would like to soak up a bit more of what Berlin’s past has to offer. By this time, it’s probably time to head back to the hotel, pick up your bags and be on your way to the airport. Berlin still has so much more to offer but at least 3 days in this city gives you a little taster of this magnificent European destination. Have you been to Berlin before? 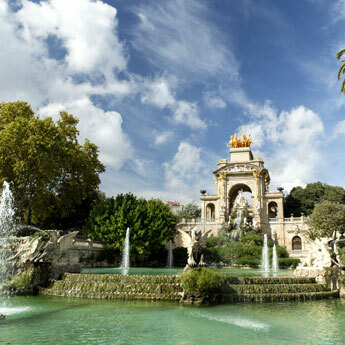 What would you recommend to go and see? 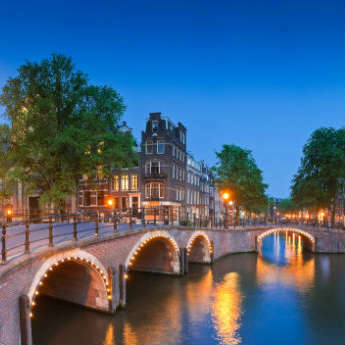 And how would you spend 3 days in Germany’s capital?